In 2005, alumni and professionals of New England TRIO, GEAR UP and other educational opportunity programs created an alumni group. TRIO programs include Talent Search (ETS), Upward Bound, Math Science Upward Bound, Educational Opportunity Centers (EOC), Veterans Upward Bound, Student Support Services (SSS) and McNair. An alumnus is an individual that has participated in a GEAR UP, TRIO or educational opportunity program in New England or a New England resident who has participated in such a program. We welcome you to join us! We will be having our annual alumni reception on April 3, 2019 in Warwick, Rhode Island. Click here for full details and to RSVP. The NEOA Alumni Directory helps us to share information with TRIO and GEAR-UP Alumni about events, opportunities, and advocacy efforts. Your help is greatly needed to support educational opportunity programs and we promise to NOT bug you too often with messages. Thank you! Click here to join. TRIO and GEAR UP Alumni and Professionals have created a group on Facebook. 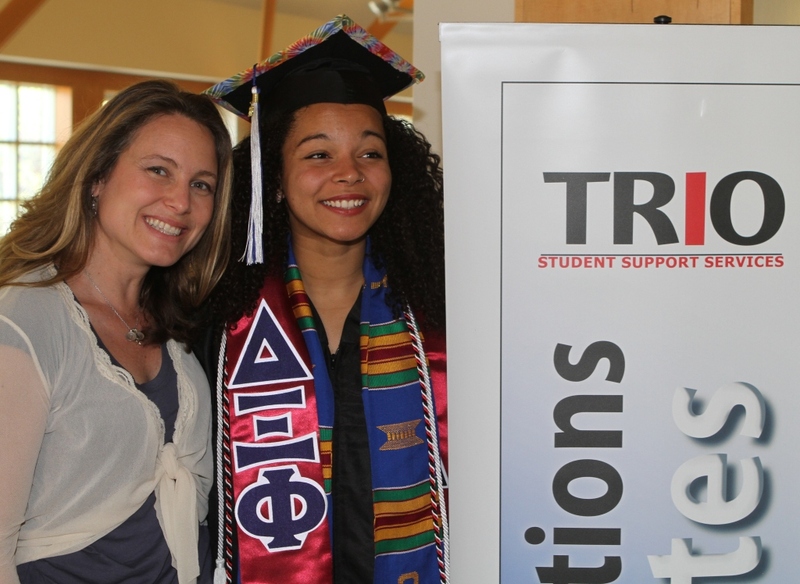 The purpose of the group is to create a professional space to allow past students of TRIO*, GEAR UP and other educational opportunity programs in New England to network, find old classmates, and share career and educational opportunities. In order to join, you need to be an alumnus of the programs and age 18 or over. If you already have a Facebook account then you can simply click here to go straight to the group site and then click the link to join the group. If you don't have a Facebook account then you will need to create one. It is quick, easy and free. And you can set profile privacy settings as you please and can still join the group. We hope you find the NEOA Alumni Facebook group useful. It will be useful for those of us who work in in TRIO and GEAR UP programs. Each year NEOA selects program alumni for the distinguished NEOA Achiever Awards. NEOA Achiever Awards are given to outstanding graduates of New England area educational opportunity programs (TRIO and non-TRIO programs alike). To learn more about the award, go to the NEOA Achiever page. * TRIO programs include Educational Talent Search (ETS), Upward Bound, Upward Bound Math Science, Veterans Upward Bound, Educational Opportunity Centers (EOC), Student Support Services (SSS) and the McNair Graduate Opportunity Program. If you have any questions or would like to join the NEOA alumni committee, contact the NEOA Alumni Committee chair.